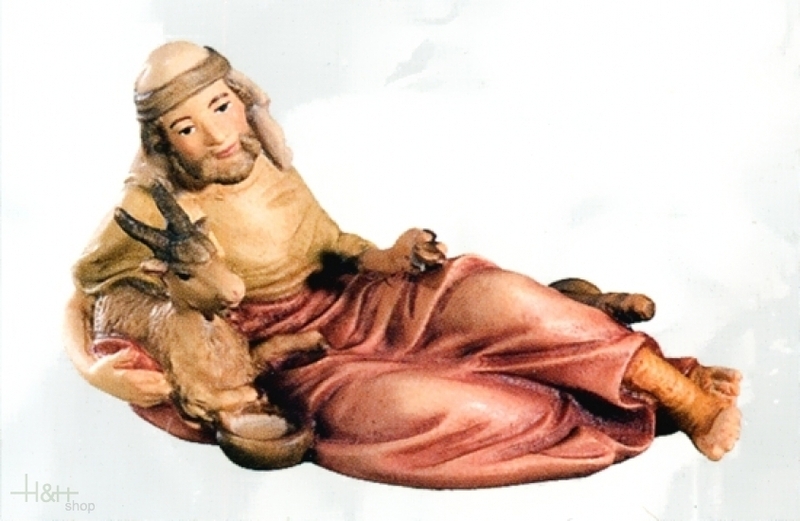 Lying Sheperd with goat - Sculpture in wood of the Matteo Nativity. Dog - Sculpture in wood of the Matteo Nativity. Sleeping Cat - Sculpture in wood of the Matteo Nativity.